Legally changing your name is often a simple proposition. For example, if you're changing your name due to divorce, you can often include the name change request in the divorce papers you file with the court. This is a common request among persons who wish to resume the use of their maiden or other former names once a divorce is final. As a result, the judge grants the name change at the same time he grants the divorce. In other instances, a person can request a name change by simply filing a petition for name change with the local court. If your name changes due to marriage, the marriage certificate is sufficient proof of the change. Even if you legally change your name through a court petition or other action, you must still change your name on official army records. Instructions for doing so and the documents you'll need are outlined in Army Regulation 600-8-104. Generally, you will need to complete and submit DA Form 4187 to your commanding officer. You will also need to provide documentation supporting the name change, such as the certificate of marriage, divorce decree or court order. Once the army approves the name change, your military records will reflect the change. If you change your name after your service in the army comes to an end, you cannot use your new name on official army records. This is because the records are considered historical documents, reflecting what your name was while you were enlisted in the military. However, you can obtain a certificate from the army that reflects what your current name is and what it was at the time of your service. You can request this document from the National Personnel Records Center in Missouri. 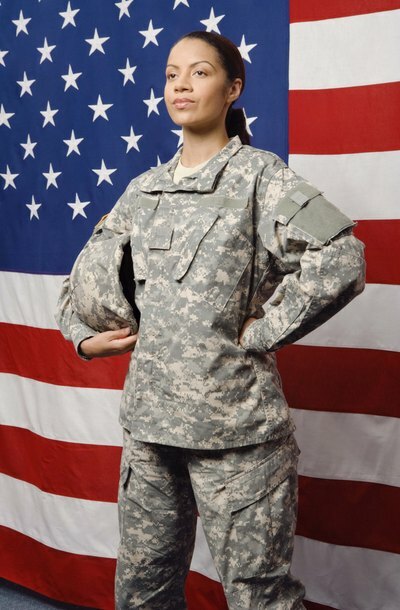 You may submit your name change request anytime you are stationed at a particular military location for a substantial amount of time. If you are completing a short-term assignment, such as basic or combat training, the army may not accept your request since name change requests take time to process and often encounter delays. For instance, there may be a delay in processing your request because army personnel may need to retrieve additional documents to evaluate and approve the name change.